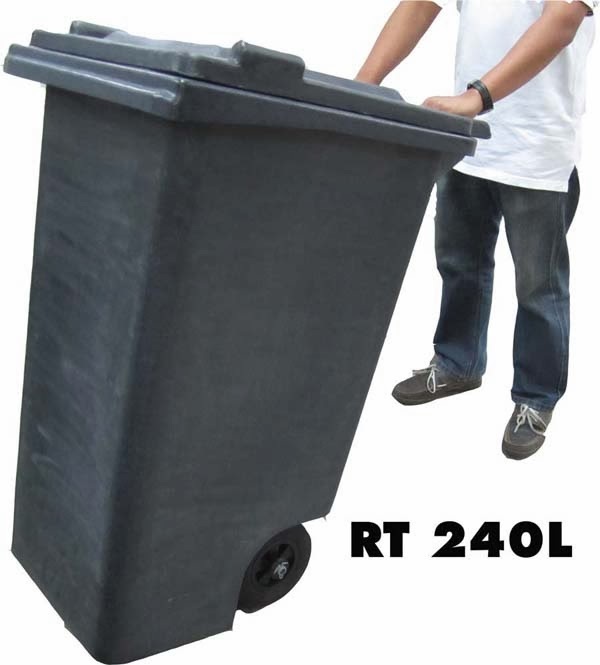 ROLLING BIN 240 LITERS - New Product!!! Main feature is the foot actuated cover that allows "no touch" when disposing trash. Attached is a photo of the new product.